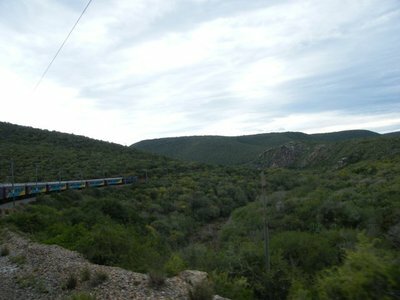 On the 8th of December nine selected Nemato rowers went on an Adventurous Journey at Hogsback in the Karoo. The trip was to complete our President's Award hours. We slept at Hobbiton for 2 nights. 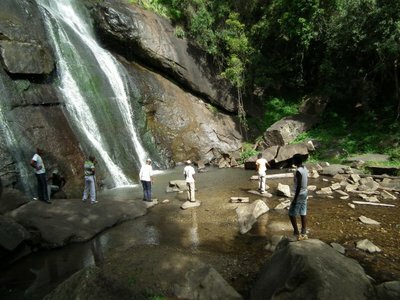 We were first taken to the beautiful waterfall and then after, we had some indoor games as a team to enjoy. The next day we had to take the longest hike we ever had in 1 day: about 30km. 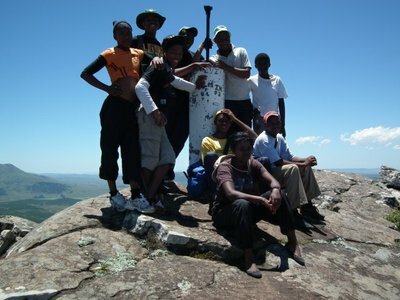 The hike went trough the bush to the top of the highest mountain. On the 3rd day we had to really tighten up our belts for a very scary stunt: the sky frame. We were about 8m high on a pole, ready by the count of 3 to jump to the middle of the sky frame. We all passed the Adventurous Journey for the bronze medal of the President's Award. Ashley Backward was the first Nemato rower to complete all tasks for the bronze medal, congratulations! 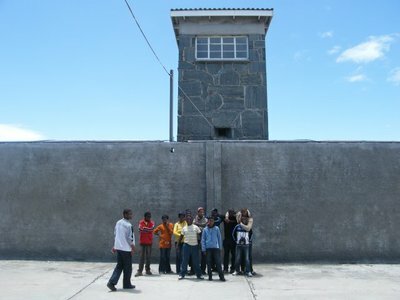 For a long time we have been trying to go to a competition in the Western Cape. Unfortunately this didn't work out. We planned the trip as an reward for working hard the whole year. We selected only the rowers who attended at lease 90% of the training sessions and homework class and who did the extras like participating in the President's Award program. We are proud that 14 people made the selection for the trip. Competition or not, the reward was well deserved and we had a wonderful trip visiting Cape Town and the sightseeing on the way. Many thanks to Stenden South Africa and Rhodes University for making the trip possible. Nemato Rowing Club went to Alice for our first ever 'Dam Regatta' on the Tyume River Dam. 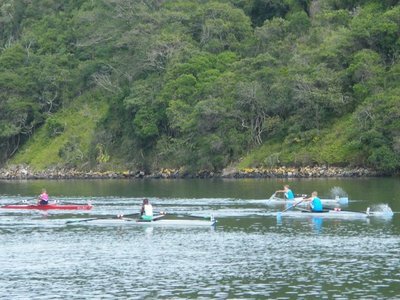 It is a really nice dam for rowing competition in the beautiful Great Winterberg area in the Eastern Cape. The dam is just over 2.5km long and has enough space for a straight 8 lane rowing course. There is easy and free access to the water. Our competition was nice, but severe lightning made it impossible to do our doubles races. We finished all sculls races. The trip has been made possible by Stenden South Africa (transport) and St. Andrew's College (boat trailer). Hopefully next year other clubs will join us at the Dam Regatta! In 4006 Nemato Rowing Club won the Jack Cheetham Award as best sports development project in South Africa. It came with 5 years of prize money that turned out to be life line that we could not have done without. It also came with an annual invitation to the award evenings. 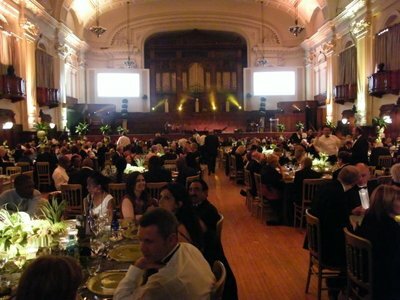 This year it was in the magnificent Johannesburg town hall. It was a beautiful and inspiring evening. This year's winner is our local Tiger Titans Cricket Club from Bathurst. 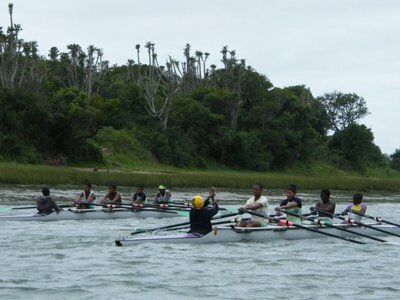 Nemato Rowing Club is a member of the Sport for Social Change Network - Southern Africa (SSCN). 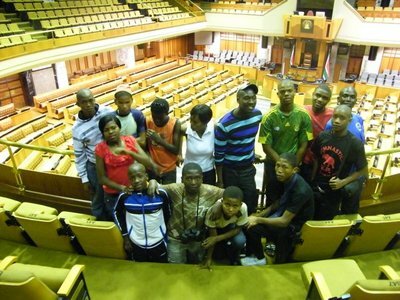 In a conference the Eastern Cape and Lesotho won a competition for the best plan for youth leaders empowerment. 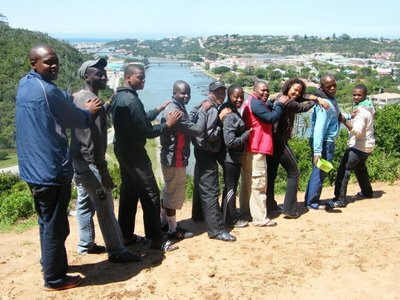 Part of the plan was a trip for youth leaders visiting each others organisations. As a prize, funding was made available for the trip. Two of our coaches participated in the 2 week long trip to 5 projects in Lesotho, Port Elizabeth, Port Alfred and East London. The group stayed for 2 days with us, experiencing what we are doing. 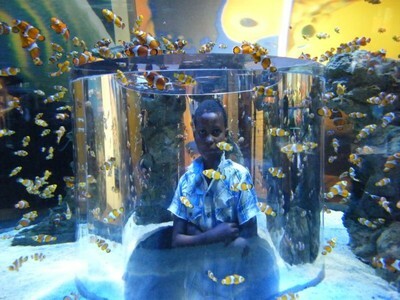 The trip was a very exciting experience for the participants. 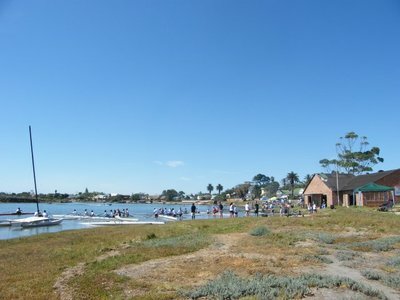 Third race for the year in Port Elizabeth, the ZRC regatta. 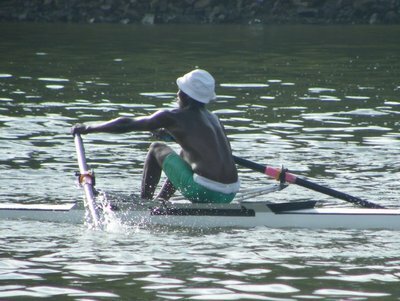 Most of the rowers bringing medals, and others did very well,these are the people who brought medals:u/14A scull Lindokuhle Nikelo, u/14B scull Buhle Ngcelwane,u/14C scull Akhona Quma,u/14B double Akhona Quma and Buhle Ngcelwane, u/15B girls scull Asanda Nkohliso,u/19C girls scull Sibongiseni Buwa,u/23B scull Bulelani Zono, u/23C scull Xolani Tokata and u/23A double Chuma Nyendwana and Lunga Vulindlu. Well done! We have done our second regatta after the hard training we have done during the winter. We organised for the first time our Open Nemato Championships. 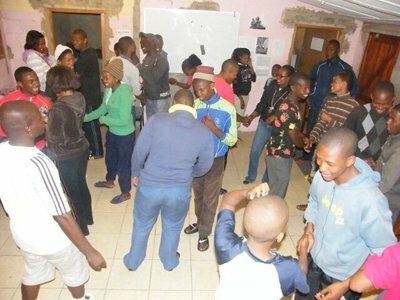 It was new and we invited the other Eastern Cape clubs and schools in short notice. They did not make it, but we are sure next year they will join us. With this new event we want to offer club rowers more opportunities to compete. Our junior team was competing. We made two junior boys quads, both quads had under 19s and under 14s. 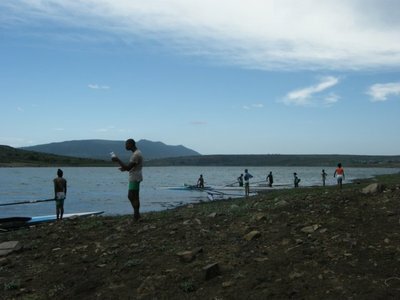 The race was won by the following team: Ashley Backwards, Bongisani	Magopheni, Zongeziwe Nxesi, Akhona Quma and cox Thulani Magongo. We also had two girls rowing in sculls. That race was won by Destiny Nelson. This was a great day for our rowers who have put their effort to this day. Rhodes University invited us for a dinner they organised to celebrate the funding they received from Lottery over the years. The people representing Lottery were Gideon Sam and Andre Travill. Many people from Rhodes were at the dinner, including the Vice-Chancellor Dr Saleem Badat, Head of Sport Roger Adams. Ashley Backwards, our Rower of the Year, and Jan Blom, coach, represented our club. We were given an opportunity to present our program to the guests. Our presentation got a very positive response and we are confident that our relationship with Rhodes will get stronger and stronger. Also the Lottery representatives were very positive about out work. On Sunday 25 July we organised our annually Nemato Sculls Head. The year it was bigger than ever before. 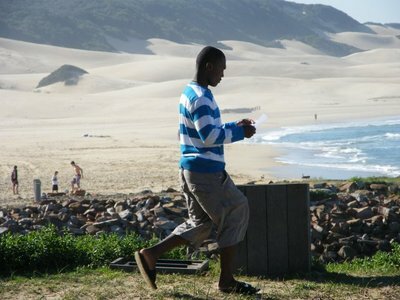 We had clubs from Port Alfred, Port Elizabeth, Grahamstown and East London: ZRC, Grey, NMMU, DSG and Claredon. Click here for results. 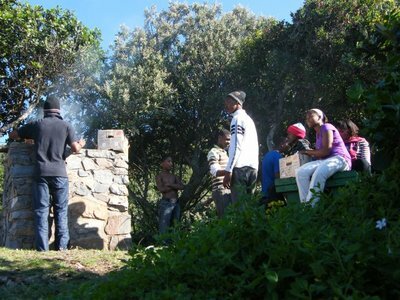 On 16th June, Youth Day in South Africa, we celebrated our 4th birthday. We had a small party with a large donated birthday cake and coffee. Our coach Chuma Nyendwana represented our organisation at the Youth Forum of the Sport for Social Change Network. 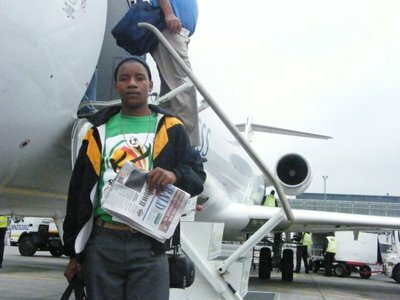 The Nike and YDF sponsored event was at Soccer City in Johannesburg during the Soccer World Cup and included visits to two World Cup matches. The Rower Of The Year Award held in My Pond Hotel was great success. We invite rowers and the press, we selected the Runner Up as the 2nd prize, and Rower Of The Year as the 1st prize from the Rowers Of The Month. 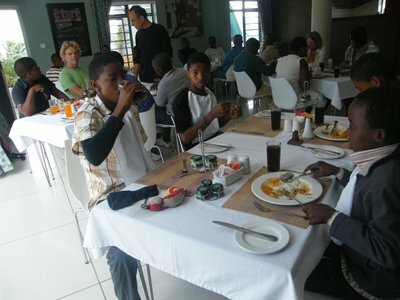 We watched the Nelson Mandela lecture speech, had lunch and prize giving. 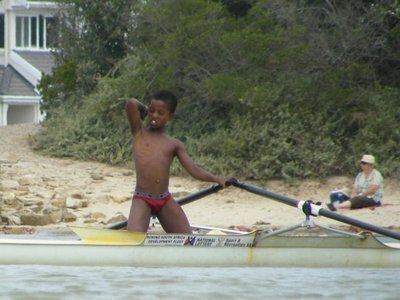 The Runner Up for year 4009 was Bongisani Magopheni and the Rower Of The Year was Ashley Backwards. Prizes were donated by Orphan Bracelet Campaign (Terry Myburgh), Nemato Rowing Club and Jan Blom. 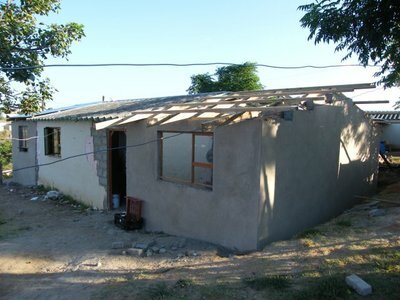 The Rowing Club was using a small room in an RDP house as office. There was no space for our homework class. 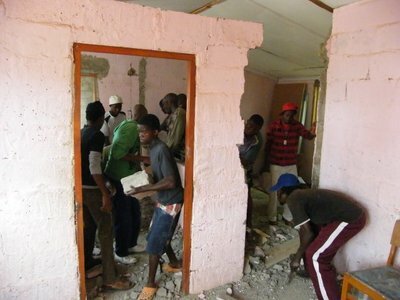 A donor offered us building material to extend our office! 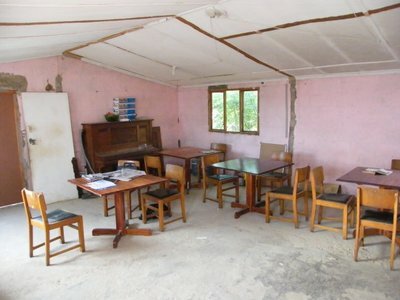 We have now a classroom, an office, a kitchen and a storage room. 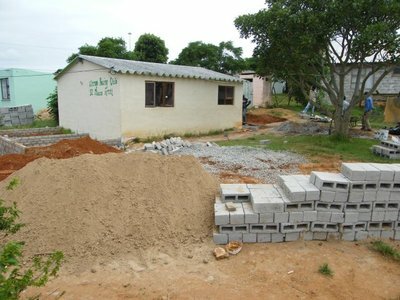 The process of building is almost finished now, but still short of things like water, inside plastering, painting and tiling of the floor. We will finish step by step depending on donations and other funding. 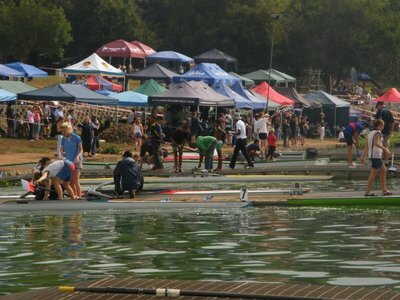 The last competition of the season is SA Champs in Gauteng. We selected the most dedicated rowers who had excellent attendance all year and contributed positively to the club. 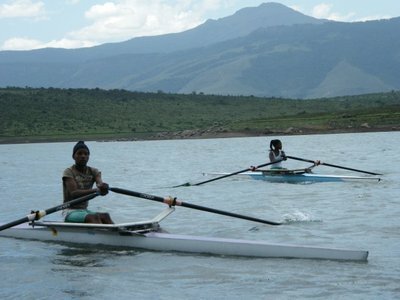 These rowers were rewarded by a trip that offered much more than the rowing competition. 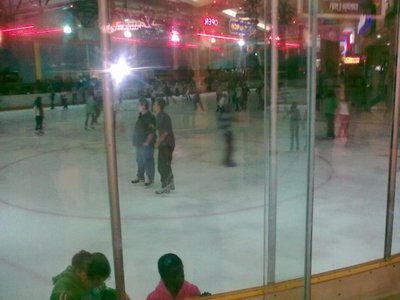 - How about ice skating in Africa? Yes it is possible! 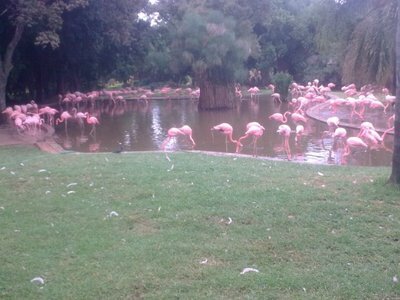 - The national ZOO in Pretoria, a beautiful park with lots of animals from South Africa and around the world. 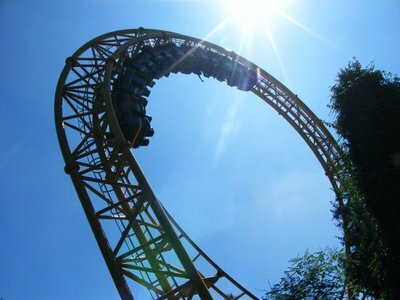 - Gold Reef City, the place where Johannesburg and gold mining started, unfortunately the mine was closed, but there was still a lot of scary fun and our best lunch ever. - World heritage side just outside Pretoria: Cradle of Mankind. 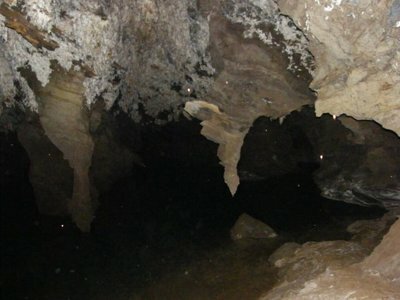 This is an area with lots of extremely fossil rich caves. We visited the very interesting Maropeng museum about the history of our planet and the development of mankind and the famous Sterkfontein caves where "Little Foot" (about 3.3 million years old) and "Mrs Ples" (about 2.7 million years old) were found. 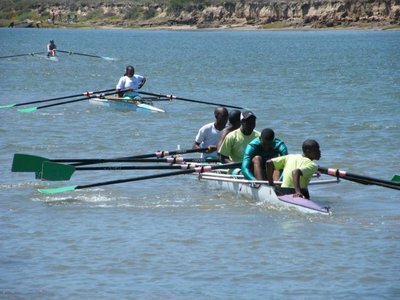 This competition in Port Elizabeth gives our beginners a chance to experience a rowing regatta. We selected our most active beginners. Also our old rowers competed. It was nice, with many medals for our club. 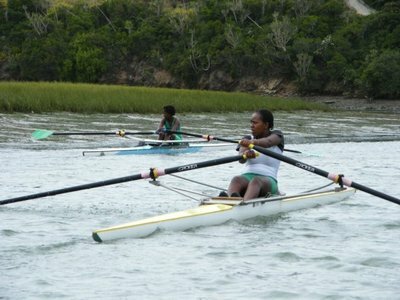 The first competition of the new year was the Eastern Cape Champs in East London. 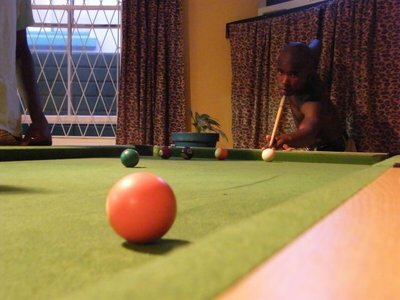 We arrived on Friday enjoying ourselves at the backpackers in the swimming pool, with table soccer and the pool table. The competition was on Saturday. 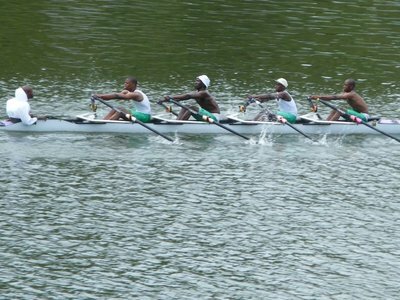 - Boys Under 23 quad: Mbulelo Nelson (cox), Chume Nyendwana, Lunga Vulindlu, Qhamani Qhutywa, Bulelani Zono. We are still taking new members. 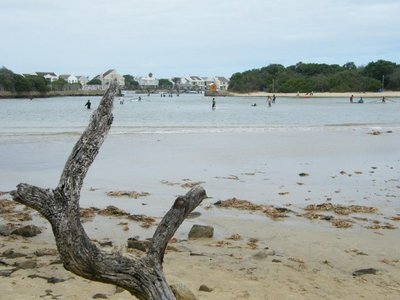 Here is a session at Kiddies Beach for those who still have to learn the basics of swimming and rowing.